An extensive 6 day experience of South Peru with stops at all of Peru’s top rated destinations, such as Huacachina, Arequipa and Puno, starting from the coastal city of Lima and all the way to the charismatic Cusco at the bottom of Machu Picchu. Hear Peru’s history from our local guides and enjoy all of the exclusive tours on this unforgettable route. 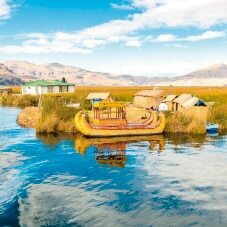 Visit the fascinating man-made floating islands of Uros, see the amazing Taquile Island until recently isolated from the world and experience a once-in-a-lifetime overnight stay with a local family. 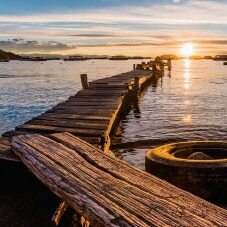 Immerse yourself in the communities of the islands, meet the locals and enjoy everything you could dream of doing on Lake Titicaca in one trip. Trips any length from 1 to 3 days visiting the ever-sunny Paracas and desert oasis of Huacachina. From examining ancient Secret Slave Tunnels, falling in love with wild sea lions and penguins to feeling the adrenaline rush of sandboarding down huge sand dunes, just choose the activities that are perfect for you and we’ll take care of the rest. 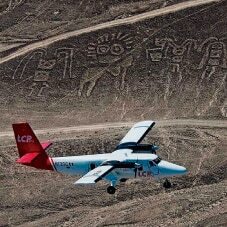 Discover and observe the age-old mystery that is the Nazca Lines for yourself. Enjoy the flight that will give you a birds-eye view over the giant geoglyphs now a UNESCO world heritage site. Marvel at the huge drawings and designs etched into the hot Nazca earth. On the way to Nazca, visit Peru’s wild penguins and sea lions, all in their natural habitat. 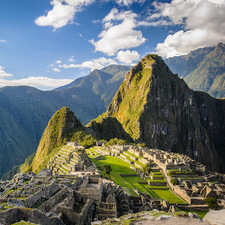 See it all with this pass, that stops everywhere along the way, taking you from Peru’s captivating capital city, Lima, to the world famous Cusco, the stunning city home to all Machu Picchu visitors. Finally cross the border into the wonderful Bolivia that will leave you in awe of its landscapes and scenery on a once-in-a-lifetime trip. 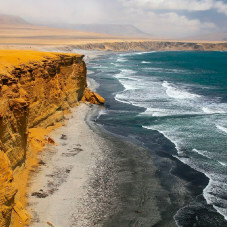 Escape to the sunny beach town of Paracas for a day, where you’ll discover Ballestas Islands (Peru’s mini-Galapagos) and Paracas National Reserve, the largest protected desert reserve in South America. Best part of it all is that you’ll see the amazing marine wildlife upclose in their natural habitat! This pass is for those who are a little bit shorter on time but still want to see as much of Peru as possible! Starting off in Lima, see everything Peru has to offer while only missing out on an overnight stop in Puno. This pass covers the major destinations in Peru while still allowing you to experience Puno and Lake Titicaca as you drive closely alongside it. 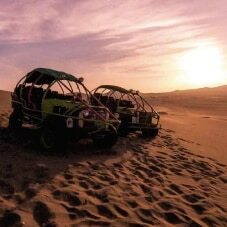 Escape From Lima to South America’s ONLY desert oasis where you will get to dunebuggy up and sandboard down the biggest sand dunes in South America. Being sunny all year round and located in the Pisco Region, Huacachina is also the perfect place to relax and enjoy a pisco sour in the sunshine by the pool!